Xiaomi is planning to launch a Mi Max 2 smartphone follows Mi Mix in May this year. 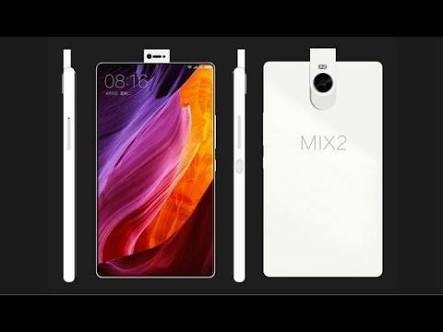 According to leaks the Mi Mix 2 smartphone powered by Snapdragon 660 processor coupled with 6GB of RAM . Already the company says to be working on another phone powered by Snapdragon 660 processor , which was expected to be RedMi Pro 2. The new Xiaomi Mi Max 2 smartphone features a 6.44″ display like Mi Mix and powered by Snapdragon 660 processor coupled with 6GB of RAM and will release in May by a Chinese microblogging website Weibo. The Mi Max Follower has been tipped to pack 6GB if RAM and 128GB inbuilt storage. The smartphone packed by a 5000mAh battery with fast Charging support. Earlier speculation suggest that the Qualcomm Snapdragon 660 Soc can have custom Kyro cores like on Snapdragon 820 Soc or might be combination of 4 Cortex A-73 cores clocked at 2.2GHz and 4 Cortex A-53 cores clocked at 1.9GHz . The Snapdragon 660 mass production might be started in Q2 of 2017 and expected to power phones from Oppo and Vivo.